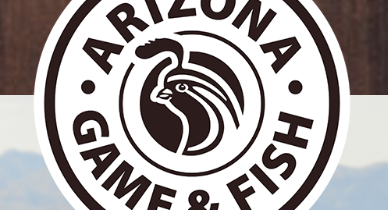 PHOENIX — They’re the chattery, fuzzy, winged creatures of the night and now they’re the star attractions of Arizona Game and Fish Department’s latest live-streaming wildlife camera. AZGFD recently installed what is believed to be the first live-streaming wild bat roost camera in Arizona. Viewers tuning in to the “bat cam” can watch as migratory Yuma myotis bats, and other bat species, roost at the Cluff Ranch Wildlife Area near Safford in southeastern Arizona. The bat cam can be viewed at www.azgfd.gov/livecams. The best chance to view the animals is from about 9 a.m. until noon, when they move into the open on the rafters to cool. At other times of the day the bats may be more concealed and difficult to view. Bats were first observed in an old barn located on the Cluff Ranch property in 1992. It soon was discovered that at least one species was using the barn to birth and raise its young. While it does not appear to serve as an active nursery site now, today it is used by pallid bats, canyon bats, cave myotis and Yuma myotis. In keeping with the department’s mission to conserve and protect all wildlife, the barn was set aside for the bats’ use, and disturbances are kept to a minimum to ensure their safety and continued use of the building.